About Petainer: The innovative one-way, recyclable petainerKegTM allows craft breweries to deliver beer anywhere in the U.S. or the world. No deposits. No contracts. No keg washer. No pay-per-fill programs and 100% eco-friendly. They require less storage space, are lighter weight and can dramatically reduce the costs of transportation, including eliminating the time and costs of return logistics. So embrace change. 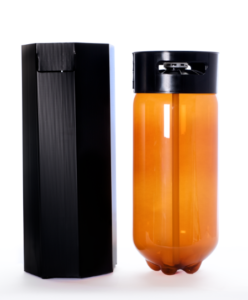 The Petainer petainerKegTM offers a 100% taste guarantee thanks to CO2 scavengers integrated in the PET plastic to prevent oxygen ingress. They are also pre-purged with nitrogen, use the standard Sankey D valve, have one-year filled shelf-life and can be tapped and re-tapped as many times as needed. 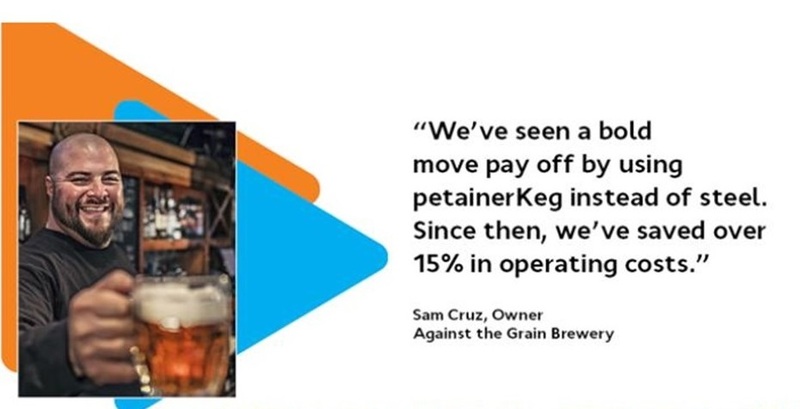 Savings Program: Now in addition to these potential benefits the Independent Brewers Alliance has dramatically expended the savings opportunity for member-brewers by negotiating a preferred pricing program with Petainer, the supplier recommended by the IBA member selection-team as offering the best combination of product quality, service and price. Because of their combined buying power, IBA members will now receive the best national pricing on Petainers, plus additional volume incentives. 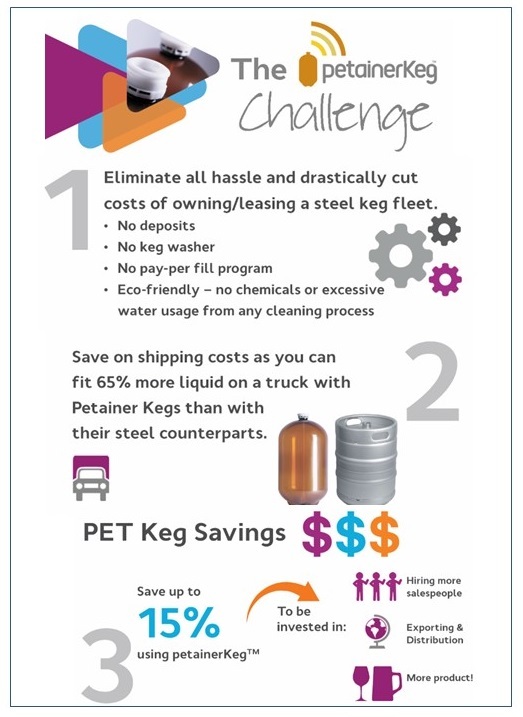 To learn more about Petainer kegs and special pricing available to alliance members, please contact Jerry Beaudion. 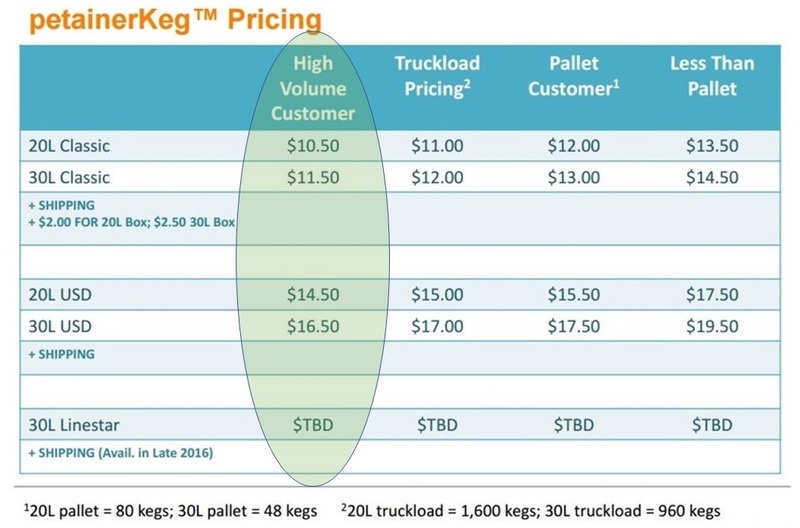 See an IBA member price list below as well as additional ways petainerKeg can reduce your operating expenses.